This is my current how-to-ship-coral guide. The first part contains quick overview of steps, followed by a lot more notes, commentary, rational, with specifics on shipping techniques & materials used. Also spattered throughout are pictures and lessons learned. ::: Disclaimer::: This post is meant to provide a foundation of knowledge as I found the whole process of shipping corals not well documented within our hobby. I’m not by any means an expert, but have shipped more than 20 boxes – totaling over 350 corals to date with no losses. 2) Have all packing materials on hand before you begin. 2) Day before shipping (Mon), with 1 day before shipping a minimum; send pictures of the exact package to be shipped unless it was a WYSIWYG package. This removes any and all confusion on what the Buyer is getting. I also send my detailed acclimation, dip, and quarantine guide, but all that info can be found on ReefCentral. 3) Shipping day. (Tues) Print off (or write out) coral labels for each frag in the order and go online to draft the printing label. Shipping costs are determined by box size and weight, and since the actual weight is not known until the package is done, you shouldn’t finalize the label until right before shipping. Phase 3: Preparing the coral shipment. b. If using a heat pack, take it out of the plastic wrapper at this time. I noticed the 20hr or more heat pack take 15+ minutes to heat up. Also, drill a small hole inside the top lid for air to get to the heat pack. Otherwise the heat pack uses all the O2 in the box, and doesn’t stay warm. Pic shows the lid in the box, and the lid has a hole in it for the heat pack. d. Take the styrofoam cooler (just calling it ‘cooler’ from this point forward) and line it with a plastic bag. e. Put one layer of wadding at the bottom, I usually trace out and cut the size of the lid, 2-3 pieces, using one here. Coral goes in like this, a clean shot with no coral on the plug. I. Seal the bag, and seal again. ...and here is what a double seal looks like. Notice there is still water at the top open end. l. Place packed coral inside lined cooler, and repeat last 6 steps (f through k) for each frag in the shipment. m. Always assess free space, lids are not flat, and there is a portion that inserts inside the box in order to put the lid on. If the box contents are too full/high, you will not be able to create the good cooler seal; or worse crush your corals as you force push the lid on. I usually fill empty space with freebe frags, but once corals are in, ensure no dead space exists, and that there is a tight fit so bags are not shifting around. Before filling in extra space, consider if you have to put a heat or cold pack (step o), and then consider wadding, bubble wrap, or peanuts to top off empty space. Again always assessing to ensure there is room to close the lid. However know dead space = wasted $ on shipping. Ideally, frags fill up the box, and there is no use for fillers. That’s always my goal. n. Tie off the large lining bag and rubber band it closed; I cut off the excess here too as it looks neater. I didn't fill a whole box for this post, so I will edit this to include either a picture, or link that describes the tie off method with a rubber band. o. Place heat/cold pack as needed, taping the pack to the bottom of the lid, covering the small hole. (Ensure to never let heat or cold pack directly touch the lining bag so use wading, or paper to separate). 4) Place cooler inside box, put a list of corals, kind of an invoice on top, close and tape box shut. 8) Tender (drop off at location) and get receipt. 10) Next day, ask buyer to send text, IM, or email when BOX arrives. 11) Follow up a few hours later if you haven’t heard back. There is a ton of experience here on RC regarding shipping carriers, both good and bad feedback for each, but for right/wrong/indifferent I use FedEx through NexShip. In the end, you can ship UPS, FedEx, DHL or whoever you want. At first I started shipping through a normal FedEx account, with a USAA (veteran) discount. That provided somewhere in the range of 25-35% discount off normal FedEx rates = still really expensive. I later learned about www.shipnex.com which uses FedEx, but combines people like you and me to get volume discounts that large business get. I did many side by side labels and shipnex is 20+% cheaper than using my own FedEx account. Again, do what you want but I found the cheapest way to ship is through Shipnex which uses FedEx. Shipping is never free. Price out a 9x8x8 box priority overnight from your Zip to mine 80014; wow is right. Not cheap at all. Estimating shipping cost is tricky, since it’s both determined by size and weight. Lesson’s learned: If you estimate low, you’ll eat the cost increase. If you overestimate, it looks even less attractive to potential buyers. Don’t think for a second you can pull a fast one on the carriers, and tell them it’s 5lbs when it’s 8lbs, just know it catches up to you and you pay a label update penalty + whatever it should have been. Lie to me now, or lie to me later. So it shouldn’t come as a surprise, but you are not supposed to ship live coral (means live animals) without getting carrier certified/accredited; doing so however requires business to business shipping (ie Frag Farmer to Store). That is clearly written and confirmed with FedEx. How live aquaria does it, no clue, but I think they use UPS and I’m sure their volume totals alone warrants a few exceptions. What this means is anyone shipping through FedEx does not label “live fish” or “live animal” or anything like that on their box. Also, claims made for marine decorative (ie not alive) coral will not recover any losses for delays so a seller really takes a risk if providing any kind of DOA guarantee where act or god or anything (read everything) that happens is interpreted as outside the carriers control. So again, you either lie what’s in the box – by conveniently saying it’s just perishables, or lie to FedEx and say you’re shipping from Business to Business, which doesn’t help you or the buyer at all. Doesn’t help you ask, it neither provides any sort of shipping cost discount nor protects/insures seller/buyer. What’s worse, the legal waiver FedEx wants you to sign says they are not responsible for any losses to live ornamental marine life (corals or fish) for any reason, ever. Seems like a loose loose in my book. I have not confirmed with UPS but have heard it’s the same. More on that at some point if I find out. MODS, if this is controversial, pls delete this one post. I think it's important to know. (a) Containers (boxes): boxes are obtained from 3 sources. First is free from medical places. That’s a real hit and miss since 95% are too large for coral shipping use. Second is Uline, but these are pricey. Remember just don’t look at the catalog, there is a considerable add-on amount to ship the shipping containers to you (I know, an oxymoron). Third, is Polar Tech. 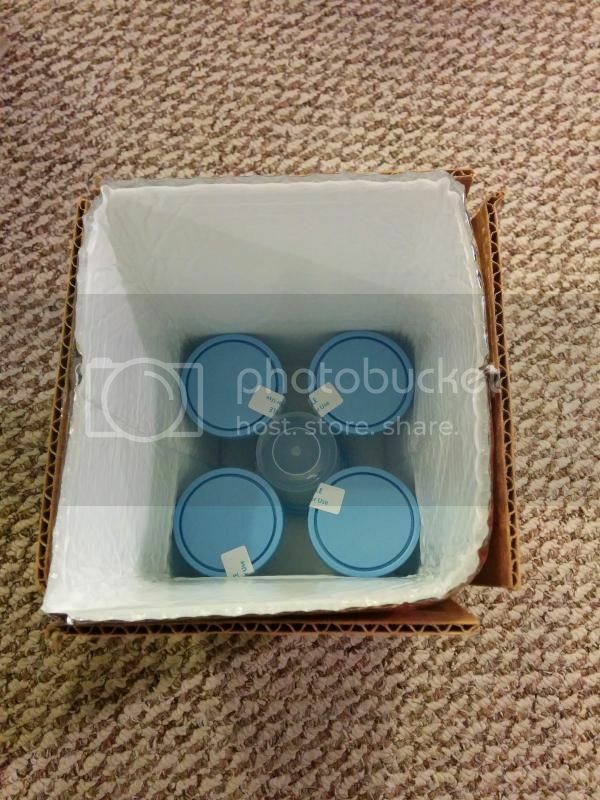 I’ve done a bulk buy from Uline and Polar Tech and personally like Polar Tech better since they have more options on box sizes, plus options on styrofoam thickness. In addition to more options, Polar Tech is also cheaper than Uline. Important note, in winter, the thicker coolers from Uline are great, but there is so much wasted space for the 1.5” wall compared to an option of PTech’s ¾” walls. This means as long as you control the temp, which is ABSOLUTLY CRITICAL, you get a lot of extra space to fill with coral from the ¾ walled coolers. I have and still use both, and plan at some point to do some testing side by side to see if the wall thickness makes a real impact for our use. This all fits into to the total cost and recall lower shipping costs incentives a buyers decision to purchase. So the smallest box = lower shipping costs to you and the buyer. (b) Large lining bag, ie trash bag. Delivery services treat all leaks as hazmat so if your box leaks any liquid at all, game over. They don’t know it’s only salt water. What I’ve read is the shipping company will pull your box and set it aside; delaying it 1-3 days which equals dead coral (not good). Plus, you’ll have some explaining to do. I hear it isn’t a pleasant experience. Anyhow, the large bag follows FedEx shipping guide lines for perishable and live ornamental marine guidance, and essentially is the last line of leak defense. The guidance and its location changes often but if you search “perishable” and live “ornamental marine” on FedEx will net the pdf guidance. I personally follow it as much as feasible. The large shipping bag is a heavy-duty plastic bag liner (13 gallon tall kitchen type garbage bags) that is inserted inside styrofoam cooler. You place each coral inside the large garbage bag. The picture in the first post makes this clear where it fits in. (c) Cellulose Wadding is a material that absorbs liquid (if there is a leak). Cellulose Wadding is required by FedEx, but to be honest I feel it isn’t an absolute requirement. Also, from the dozen coral orders I’ve received over the years, in my experience, I’ve never seen any real wadding used by anyone. Peanuts do not absorb and news paper doesn’t absorb much either. Again reading the pdf from FedEx, states is it’s a requirement. Simply they want to know if a bag leaks, there is something inside to absorb the water without it leaking all over the place. You’re supposed to have enough wadding to absorb all the water in the box, but I think that is impractical in our case. I bought a box of Wadding at Uline, and misread how big the box was. Needless to say I’ll be using it until used up, sometime in the year 2085 I should run out. (d) Cups for corals, I use two types, 2 oz condiment cups, and espresso shot glasses. Either cup serves two purposes. (1) Keeps the coral stationary so moving around in the bag does not damage the coral. (2) Prevents the coral from puncturing the bag, causing a leak. (e) Bag Sealing, I’m not going to cover all the options here on how you can package coral, but just what I use which is a hot Impulse sealer (eBay $35). Research will net there are other options, but I ended up going the hot Impulse sealer route and really happy with that decision. Bottom line for me is the seal can be seen, tested, where each bag sealed twice takes 10 seconds. Also, I did tests with both 3 and 4 mil bags and each time I squeezed to break, the bag always blistered and burst through the bag wall, and never at the seal. Further, the sealer method creates a slimmer and more compact package, results in a smaller box, which is cheaper for the buyer on shipping. Again, my goal is to ship the best, most compact, and economical way ensuring corals get to where they are going alive, in great shape, survive, and ready to thrive. (f) Bags: I bought Uline 3x10 (3 mil) and 4x12 (4 mil) bags. The 3x10 size is not good for shipping IMO. They are too small for the 2oz cups I use to ship. I do use them, locally, or can ship zoas, pallies, and mushrooms that are not in a cup, but I would not have bought them in hind sight. I would however say 4mil or 3 mil bags are both adequate and acceptable for our use. I will likely order only 4mil in the future since I use the sealer all the time now. I was thinking to use a rubber band method if I chose later the heat sealer didn’t work out for me, but it did. The thicker bags also protect more from shipping SPS as SPS has the highest risk of a leak if a loose coral punctures a bag. Plus a thicker bag provides in increased insulation factor - so thicker 4mil is better in my opinion. I found double or triple bagging corals are difficult and not needed. If your thickness is 2mil, or 1mil, than double bag may be best. If you are going to double bag, I’d recommend buying the second bag, larger than the first to make it easier to put one bag in another. Note FedEx shipping requirement “double bagging fish in minimum 4 mil thick plastic bags” and to them Fish and coral are the same. This is where I personally vary as I do not currently double bag. My next Uline order though will be to cover larger bags to double bag; it’s kind of like added insurance. The length of the bag is important when using the impulse sealer. One needs enough length to work with. You may feel like you’re wasting half the bag cutting off excess but without that length, water would get all over the place. Getting this right is kind of important if you buying bags by the box, of 1000 bags. 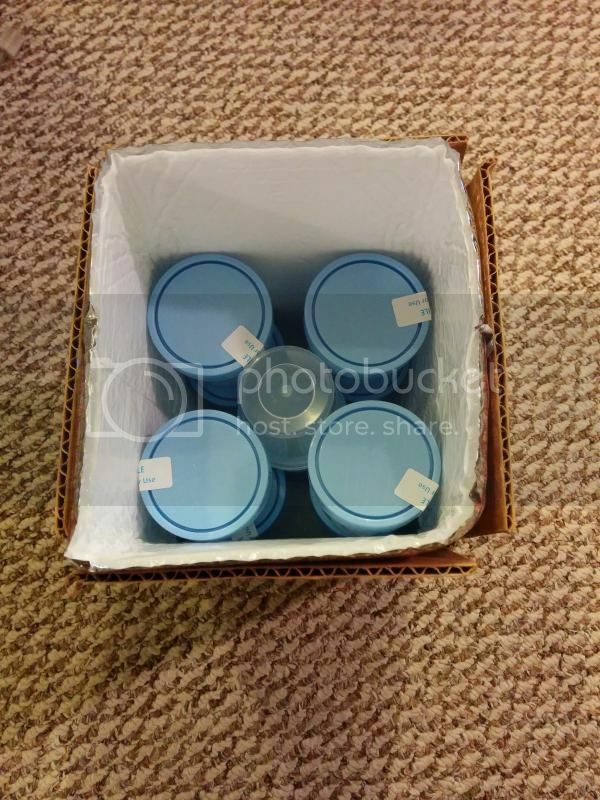 (g) Box fillers: I basically save peanuts from packages I get – Most previous shipments received have this but I use filler sparingly, and only to keep the contents in the box in place, so I use as little of this as possible. If frags do not completely fill the box, ensure there is no loose space as corals will shift a lot, and that shifting is where damaged coral and/or leaks can occur. Some folks use newspaper – it’s cheap, can absorb, and readily available but I feel it looks cheap and easily compacts when weight shifts. I would only use newspaper to wrap ice or heat packs but personally have a lot of brown paper (like brown paper bags) so have never used newspaper to date. (h) Cold and heat packs: I wish there was more information on this topic, but here is what I do from research and practice. Heat Pack:: If the night time temp will be below 50 deg F. I use a heat pack. If it’s going to be under 10 deg, I don’t ship. I buy heat packs from Marine Depot, 20 hr and a few 40hr. Open the heat pack to ensure it gets warm at the beginning. I do this when taking the cooler out of the box, and put the heat pack with the lid. Certainly make sure it’s warm before you close the box. Packs need air to stay warm - so I do what I’ve seen - and drill a hole in the lid where I’m going to tape the heat pack. Wrapping the pack in a paper essentially cuts off the O2 exposure and is supposed to slow the heating of the pack. For me, I just put paper and usually small bubble wrap at the top of the large lining bag to separate the heat pack from touching any coral. Cold Pack:: If hotter than 90 deg, I use a cold pack, but never frozen. I have cold gel packs and put them inside the refrigerator. After testing a box in the summer time where it was left in the sun on a 90 deg day for 3 hrs, the box itself was 110, but inside the cooler, was 79 deg without a cold pack. I feel there is more potential to harm corals with colder temps. Since I ship packages at about 6pm, and they are supposed to arrive before 11am, the hottest parts of the day are skipped. I get all my gel packs for shipping for free as this is one of the benefits of hooking up with a medical supply company to get their old boxes. A point to make is for me personally, I feel having the package held for pickup at the local FedEx facility is best in general, but feel it’s required when temps are at either extreme (to hot or too cold). (j) Labels for corals – I get address labels whenever they are on clearance, and either write neatly, or print off labels. I can’t tell you how many times I’ve ordered hundreds of dollars in corals and not know which is what coral when received. Eliminate that by a sending pictures, and taking 5 min to label the coral bags. I know I appreciate that, so buyers do too. Last edited by Dave & Monica; 12/22/2014 at 07:10 AM. Phase 2 Notes: Selling and preparing shipment = avoiding pitfalls. In my research, I tried to read and understand why folks had bad experiences buying corals from other hobbyist or even prominent vendors. As I’m a hobbyist going on 9 years, I’ve ordered from at least a dozen vendors but only 1 hobbyist. Some vendors are good, some bad, very few outstanding. The one hobbyist was outstanding. I want to avoid pit falls from my own dealings to ensure anyone buying coral from me has a good buying experience, so I can offset my addiction, er.. hobby by selling some coral. (1)First pitfall: is on-line, we’re all use to seeing creative picture taking (I’ll leave it at that) – but as a buyer I want to know exactly what am I getting. There is an element of the unknown that is open to interpretation, leading to expectations, which is a broad area of why folks are not happy. “A frag of this coral for this price, and here is an awesome pic”. Is that my frag in the pic? What is the size of the frag, define large or small? Is 1” normal? Single stalk, or multi branched, or both? Is it a fresh frag from the parent colony? Or weeks/months removed? Same color as picture? Will it even look like the frag picture? If you do not see exactly what you are getting, there is room for expectations to be off and room for disappointment. This is why I send different angles, and a few pictures of the complete package before shipping. This solves a problem before it begins. I’ve gotten brown sticks when it should have been pink lemonade; nothing is more frustrating when you have to wait weeks/months for coral to get some color. I’ve been there. Second (2) Hobbyists expect disease and pest free corals from everyone. In an ideal world, no one would sell or trade corals with pests. Some people honestly don’t know they have them; some get wild colonies to chop up and sell. Others deceivingly know and want to sell off coral before it all dies. There is everything in between these extreme scenarios, but don’t be naïve, know parasites and diseases are common and widespread. Whatever the case may be, I have personally and painfully learned the hard way that it is 100% my responsibility to ensure no parasite or diseases gets into my reef. Likewise, it is 100% yours for your reef. I have seen posts where a buyer blames a seller for this or that, but no can ensure your reef is pest free but you. I don’t put many new corals into my reef anymore, but I try to inform folks that they should acclimate, QT, and dip my coral, even though I don’t think I have any issues, parasites, or disease as all. I send my detailed acclimate, QT, and dip procedures so hopefully a hobbyist can avoid what I went through a few years back when I had AEFW. That was all my fault, and no one else’s. Buyers need to acclimate, dip, and quarantine everything for everyone. No exceptions. Third, (3) corals arrive dead. True, If done right, normally one coral will not die, but you know, it’s possible and it even happened to me (**). I trust but verify, that is why sellers ask for buyers to take a digital picture and send it within a few hours after receipt. ** In my case, the vendor didn’t tape the heat pack. So as the contents shifted, and the heat pack moved getting wedged up against one bag in the corner. When I opened up the box, that bag was really cloudy. When held up to look inside, I noticed how terribly hot the bag was (outside coral lining bag was not used and the cooler was cut styrofoam sheets so plenty of room for air to get in to keep the heat pack hot). Point is all the other corals made it, but that one didn’t. Sellers need to trust, but verify and I’ve read of failures on both ends, failure of communication which ties to the next and last point. Fourth (4) communication. There are clear steps - both sides have to do their part but the common denominator, is communication. A Seller needs to ensure the Buyer knows what’s expected, and follow up to ensure everything arrives and is ok. So many problems are avoided for the seller when you get the payment, reach out and frequently communicate throughout the whole process. Buyers need to communicate if they don’t understand. Buyers must reach out at first signs of a problem; need to let the Seller know right away. No, it’s not ok if you wait until the next day. If it looks bad, take a pic and reach out. If it lives, great, if not, get your refund or credit. Stores that charge you $60-100 per frag can give you a 10day live guarantee but most here know there are so many variables on if a coral lives, thrives, or dies, on a day-to-day basis that a Seller can’t know all your factors to guarantee anything other than the coral will arrive at your door, in good condition. I was scared to start selling corals via shipping as I often would read how some transactions evolved over back and forth online and public disputes. I think expectations, and communications were the root of most issues. For those thinking of starting to sell corals to ship, I have had nothing but positive interactions with RC members. Even with a few problems that arose, we’ve been able to work through them every time. I’m a happy seller, and there are at least 20 happy buyers out there. Last edited by Dave & Monica; 12/22/2014 at 07:18 AM. a. For box sizes and how I package corals, here are approximate corals I can fit per box size. -- You will figure out your own variance, since you may use different cups, or put more water, but you can get a rough order of magnitude. v.	12x12x9 Medical (1.5” wall) = 25 corals. b. Larger corals inside the 3oz espresso cup or 4oz P cup take roughly the size of 1.5 of the 2oz cup. Sealing with an impulse sealer. I usually ship corals with little to no air inside the bag. I asked in a few forums and never got a good answer, so after being uncomfortable the first 5-7 packages (all SPS) I am now comfortable shipping this way. I do however take the water near the output of my skimmer, since it’s really full of O2, but have no proof that it helps or hurts. The specific impulse sealer I have,PFS-300, is set to #3 and that setting is perfect for both 3 and 4 mil bags. Lesson learned: Push flat on the bar, ensuring not to pull on the bag. A few times I’ve inadvertently pulled on the bag and the heat bar melted and stretches the bag right where the seal is. Often you can immediately reseal it farther down so it’s not an issue, just something I've noticed and dealt with. I don’t put the bag down once picked up and water is added, but if needed, you can use a cup so it doesn’t fall over. Also, you can heat seal the ends so the bag stands up better but I still wouldn’t trust it not to topple over. If you’re going to ship colonies, this method isn’t going to work. I only once shipped colonies and it really wasn’t ideal, actually nearly a disaster. If anyone has good advice on larger coral, I’m all ears. I assume the rubber band method is going to be used but also larger bags will be required. Timing – Goal for me is to have the corals in the box for the least amount of time practical. I rarely ship more than one box on any given day so I can take my time to prepare a coral package in about an hour or less. My FedEx latest drop off time for next day Priority is 5:30pm and that is 4 blocks away - so my target is to get the package there between 5 and 5:15pm. Be prepared, know where other locations are with later drop off times. For me, other drop-off locations are for 6:30pm, and the Airport at 8:00pm so if a problem arises (old Murphy’s law) I can still finish and get the package out. Each one of those locations though is farther and further from my house, where the Airport is more than an hour round trip in driving time; that’s why I don’t just take them to the airport since I don’t want each package to be a 3-4 hour event. Epilogue: For me everything is fair game to change. The carrier, materials, supplier, or anything else -- I’m open and flexible to make changes due to experience, someone’s advice, or feedback from a hobbyist buying my coral. I know there are other ways and methods, feel free to offer up any additional advice to help folks propagate coral resulting in less impact to natural reef resources. Reef on my friends and hope there is some value you found in this! As an aside, I always go and pick up my coral packages from a FedEx/UPS facility. It’s available for pickup earlier, around 9am, so that cuts actual time the corals sit closed up in box (which is better for the corals). Second, loading the truck generally lends your coral through an additional round of being tossed around. When delivered to your home, the package sits on a metal shelf in the back of a delivery truck and is subjected to every pothole while driving all over the city or on rural roads (think back of sitting in the back of the long yellow bus to school). Third, I have personally had a lot of issues with my deliveries directly to my house, from leaving the package at the front door without ringing the door bell, to putting it on its side, and walking away. If you’ve searched youtube, shipping companies are not known to be careful with your package, no matter what is written on them. You will take much better care of putting the box in the front or back seat of your vehicle and driving straight home to start acclimation. When I sell coral, I mention this, but ultimately, I understand it is much more convenient to have it handed to you at your front door. Choice is up to you. Again, I go pick it up and feel it’s better. Great write up. Regarding post #3, I bought some coral on Ebay and I got a mangled wet box in the mail. I thought the seller was ripping me off but we both worked together to track down the cause. It turned out UPS no joke ran over the box in Tennessee and marked it as damaged then put that mess in a new box and shipped it to me in florida. The package was insured for $300 and even with the company admitting fault they wouldnt even refund the cost of shipping. Moral of the story, don't pay for insurance because it does not cover ANYTHING. Thanks for this... I'm soon to start a frag facility, this is a great help to get me started. I'll let you know if I figure anything out that could be of help! What a great post! Although I do not ship or sell corals, those that do can learn a lot from this!!! Wow, thanks for taking the time to post this, I am in process of getting up and going small business and this will be a saved post for me. Thank you so much for posting this! I will be referring back to this often! Happy reefing to you my friend! Current Tank Info: 125g Peninsula Tank 48Lx30Wx20H, 24" Ati Hybrid powermodule 8 bulb, SWC 230 skimmer, Maxspect gyre 150, 36" Ruby Elite Trigger Sump, MP40W, 1" Sea Swirl, BRS Dual Reactor, Bubble Magus Dosing Pump. This really works well I got a package yesterday from Dave and everything was in great shape when it arrived! a truly wise man learns from others mistakes! 1. Insulated box liners with these 6" cube boxes. How many p-cups can you fit inside a 6 in cube?, have you shipped acros in the insulate liner in winter? And thanks everyone for your comments, I will provide an update this week as I took more pics and have some more info about temp tests. I could probably fit 8-10 frags in there, will have to check when I get home since I usually only ship 4-6 and have space to spare. 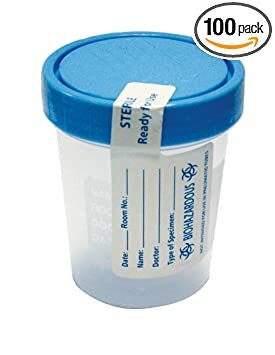 The cups aren't huge but they hold a stable amount of water so the frags never get squished into a corner or anything, and they never leak or get holes poked into them. The amount of space you save by using liners instead of a cooler is huge too, quite a bit of volume. The liners are great, they work through the same heat transfer properties that make styrofoam coolers so effective, which is that air has a very low thermal conductivity. The plastic in styrofoam doesn't keep corals cold, it's the trapped air bubbles inside the plastic that don't conduct temperature from inside the container to outside and vice versa. These liners have a heat-resistant metal film liner which reflects some heat, and at the same time have about a solid 1/4"+ of trapped air cushion that doesn't transfer much heat in either direction. Really similar to how a vacuum sealed thermos works. Is there room on top for a heat or cold pack? There is, although I've never sold 10 frags at a time so I've never had the cooler packed up that high. Even for vendors it seems like selling 10 pieces at a time is pretty rare due to how high the prices are on frags these days. What would you say is the coldest temps you can ship with these? Obviously with heat packs. It's pretty freezing here in NJ right now. Thanks Miguel for posting and including pictures. I previously mentioned there are certainly more methods to ship, but your post highlights exactly the reason why I did my write up. You cover the box, and how p-cups fit inside the box – but there are so many items on either side and in between that’s not covered. What do you use to place the frag plug inside the cup? Surely you don’t have an acro frag rolling around knocking against the sides of the cup. I see the foam inserts second method is a great option but two issues. First, I can’t find an inexpensive source and second when the plug foam insert is placed inside the cup, on the receiving end it’s a pain to get the insert out. Drilling out styrophoam is really messy, and time consuming. I find the heat seal is as about as quick as closing the lid on a pcup. It was asked above, do you have room, if shipping 10 frags, for a heat pack? Since my frags are reasonably priced I ship between 6 to 20 frags per order. 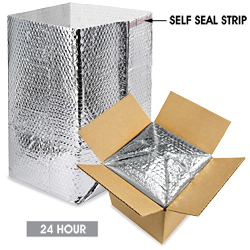 I do however want to explore this technique as it ships in smaller boxes = less cost for shipping and that’s my goal as long as I can confirm it works well in colder or hotter weather. This certainly gives me something to consider and ponder for sure, and again I like how tight the p-cups fit. I just want to know a good way to get the plugs in with a quick repeatable cheap way that works as good as your other parts. What do you use to place the frag plug inside the cup? Surely you don’t have an acro frag rolling around knocking against the sides of the cup. I just want to know a good way to get the plugs in with a quick repeatable cheap way that works as good as your other parts. I find the heat seal is as about as quick as closing the lid on a pcup. Since my frags are reasonably priced I ship between 6 to 20 frags per order. Last edited by organism; 02/05/2015 at 05:16 PM. Great info on both of your options. I didn't see the heat packs anywhere. Maybe I just missed it? The heat sealer is $35 bucks, so I have no issues ditching it, but like you said i have it and it works for me. I also sprayed it with A spray varnish (wife has cans since she is a painter), this stops any rust. Also, I recommended using longer bags since no water seeps out or even gets onto the heat sealer. Just addressing some of the concerns you mentioned. I don't think we're at odds at all, I honestly appreciate your feedback, and just yesterday placed a Uline order for the new boxes and shield inserts. I do mainly sell sps, but also sell zoas and feel this is a preferred method. I'll do some testing on heat and cold transfers. I'll further look into where to get what was mentioned in the video, foam sheet cell solid variety. If anyone has a link, Pls share.